This pair of earrings is a true treasure! 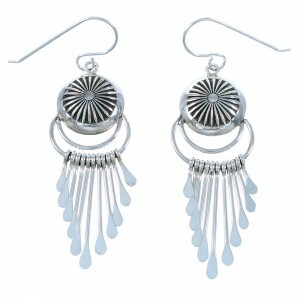 This piece of Native American jewelry is Navajo hand crafted by artist Pauline Armstrong, out of genuine sterling silver. 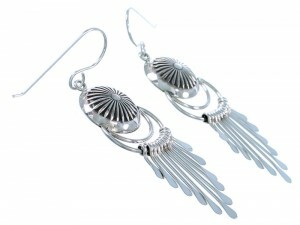 Stamped patterns create a beautiful design for a lovely look, while each earring is accented with ELEVEN silver dangles for a fabulous finish. 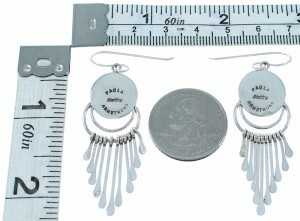 The earrings are stamped sterling and hallmarked by the artist.